Disclosure: Some of the links below are affiliate links. Which means that at no additional cost to you, I will earn a commission if you click through and make a purchase. Since it’s the season of giving, I’ve really been thinking of what extra special gift I could give you to help you in your voiceover business. Then I thought, What could be better than sharing my favorite tools and products that have helped me the most in my business?Hopefully, this will help save you a lot of time in hunting for what could possibly work, keep you from doing a lot of trial-and-error, and prevent you from wasting a lot of money in buying products that aren’t worth it.So without further ado, I give to you a list of my favorite tools and products! is a good place to start. This is a language learning app that connects you with language teachers. They put you in contact with fully-vetted, professional teachers who are native speakers of the language you want to learn. You then choose a teacher that suits you, and you get to schedule an unlimited number of lessons with them. You could do a 30-minute or 60-minute lesson every day, and you pay either monthly or annually. What I love about Rype is that you get to help direct your own learning. If you take a physical class — typically, you’re in there with a lot of other students and you are beholden to whatever is on the agenda for that day, the teacher makes your curriculum, and you’re really limited as to how much individualized attention you can get. With Rype, it’s all one-on-one, which I really love. Right now, I’m learning Spanish, and sometimes we just talk about my day or watch a television show and discuss that. So it lets you drive the learning, and I think that makes it a lot more effective. This software is great for managing contacts and project workflows. What it does is it allows you to create visual and personalized pipelines that will show you in what stage your leads and your projects are. For example, for contact/marketing management — to be organized in how you progress a contact from being a lead to being a client — you can create a pipeline where you can track your interaction with the individual. It can be something like: Initial contact > Sent follow up email > Sent follow up postcard > Scheduled for call > Send contract. And you can make it as personalized as you want. You can even add notes like if they have responded or not, if they told you to follow up with them after a certain period of time, etc. You can also set reminders so that you don’t forget tasks you’ve created for turning the lead into a client. This is also the same case with project management. You can make pipelines for your workflows like: Received Script > Recorded > Edited > Submitted > Made Revisions > Sent Invoice > Received Payment. Pipedrive can be very flexible, and you can customize it as much as you want. The best thing about it is that keeps you organized so that you’re on top of things and nothing falls through the cracks. You can show that I referred you by using code AF-COVO when you sign up for a free trial. Xero is an invoicing solution similar to QuickBooks and FreshBooks. I love this software because it lets me easily create beautiful invoices. I’ve actually gotten compliments on my invoices, which is pretty unusual. Most the time, invoices aren’t intended to look artsy or anything beautiful (and not that my invoices have actual artwork on them other than my logo), but they’re attractive-looking. I also love that it’s very easy to use and that it integrates with Paypal and credit cards, making it a breeze for my clients to make payments. This is a Pro Tools plugin that lets you mark your good and bad takes as you’re reading live, and with a touch of a button at the end, you can commit those editing decisions so that you’re left with one super take with no mistakes. I don’t use Recorditor right now because I typically use Twisted Wave for my recording, but I love what it does. 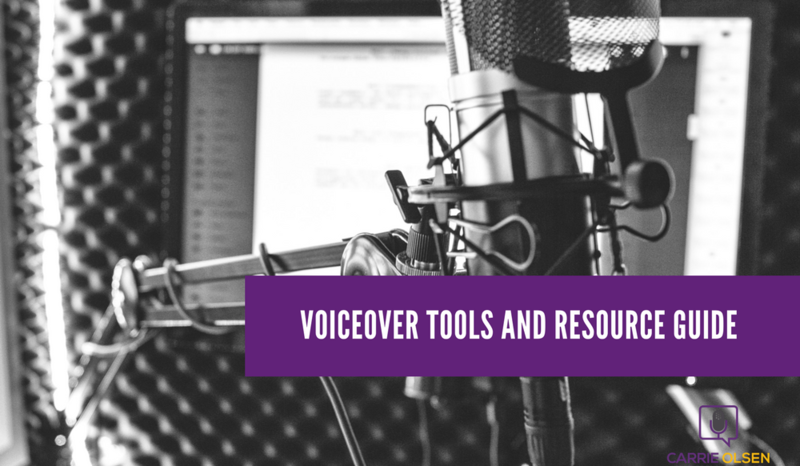 I have a work around for doing what Recorditor does even if you don’t have Pro Tools, so you can check out that blog post if you are interested in that. But if you do have Pro Tools and you do a lot of long-form narration, Recorditor is a great plugin for you. I use this all the time — for word count, file storage, and collaboration. Its word count tool is really handy when you’re doing long-form narration and getting paid per word. It’s also a great cloud file storage solution — if I need to share a file with a client, I can just upload it in Google Drive and share the unique link that comes with the file so that the client can access it. I no longer have to attach it to an email and worry about any limitation on the file size. It also comes with 15GB of free storage space, which is more than decent. People I give access to my files can also leave comments or notes, so that’s really helpful, as it makes collaboration easier. This software is really important for me. It makes my life a lot easier when I have to sign an NDA, a contract, or even when I need to fill out forms for taxes. A lot of times my clients or agents will send a form that needs my signature, and it’s such a pain to print something out, get a pen, physically sign it, scan it back in, and then email it. DocHub allows you to sign PDFs on your computer without having to print anything out or scan it in. Moo.com is where you can get really great business cards and postcards, among other paper products. They have a type of card stock that is significantly thicker than your average business card and postcard, and I tell you — it really makes an impression. Almost every time I hand out a business card, I get wonderful comments about it, and there’s nothing super special about my design, logo, or anything like that — the card itself just feels really high quality. Plenty has been said about the state of pay-to-plays today. Some of the criticisms that you’ll hear about pay-to-play sites are that they drive down rates and that they tend to be a “race to the bottom” rate-wise. Yes, there are a lot of people who are new or don’t value themselves on pay-to-play sites and are trying to turn every job into a hundred-dollar job because they just want to book something. Yes, that does happen, but it doesn’t have to. You can one hundred percent get on a pay-to-play site while keeping your integrity as a voice actor and keeping your rates up to and even above what the standard rates are for voiceover. It’s a matter of how you choose to handle your own business. So if you do decide to or if you are already on a pay-to-play site, just have standards and you won’t have to worry about everyone else who’s racing to the bottom. There are clients out there who will hire you if you are good and will pay what you’re asking to get the job done well. So if you are considering on getting on pay-to-play sites, below are two that I like. 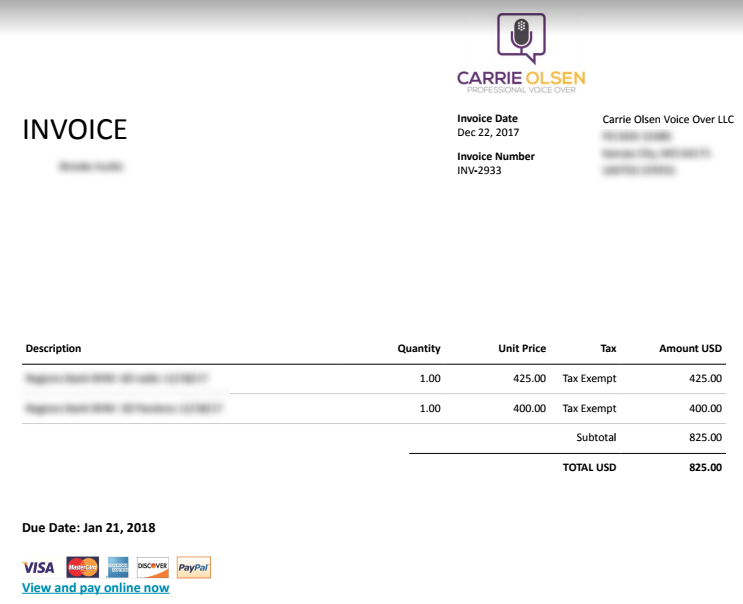 When it comes to pay-to-play sites, voice123.com is my recommended platform. They do not offer a monthly membership option like some pay-to-play sites do, so you do have to pay for a year up front, but that’s the only thing that you pay. You’ll get in direct contact with the clients that you deal with. There is no fee to hold the money because clients actually pay you directly, which is one reasons why you’ll need an invoicing solution like Xero. The site won’t take anything off the top of the work that you book; it’s all yours. This is a freelancing site, but it technically qualifies as a pay-to-play site. Be forewarned: There is a lot of voiceover work that you can find on Upwork.com that is not worth submitting a proposal for because the rates are just so low, but there are also plenty that are willing to pay industry-standard rates. You just have to weed through the bad ones and be choosy about what you submit a proposal for. The other benefit of Upwork is that it’s pretty inexpensive; I think you can join for about fifteen dollars a month, and you can book all kinds of work there — explainer videos, commercials, e-learning, and more. I have booked some quality work on Upwork.com and have even gotten some great long-term clients from there. For Mac users, this is a really good option for a recording software. This is what I’m using right now, and I love it. It’s a great simple recording software that’s actually made for voiceover and for voice actors. It costs $79.90 right now. Audacity is a free software that you can download at audacityteam.org. You can set up some really great work flows using Adobe Audition. 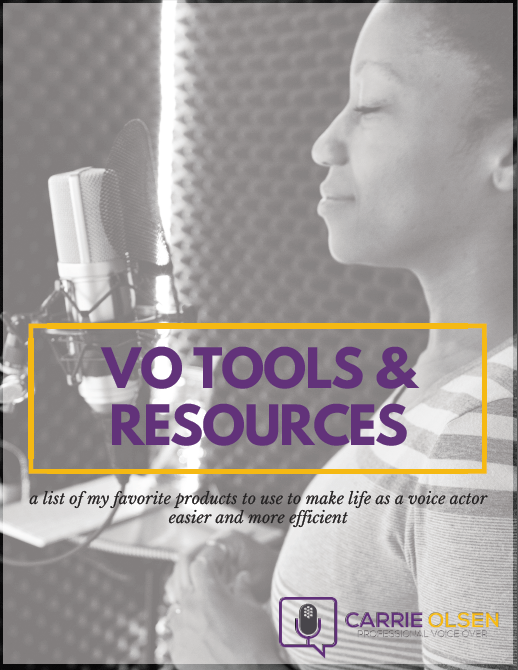 It is more than what you need as a voice actor, so it’s going to be a little bit more cumbersome. It is also on the expensive side. But if you would benefit from some of the fancier things that you can do with Adobe Audition, then it’s a great choice as well. This is for when you’re looking for equipment or even if you just have questions about equipment — sweetwater.com sells all kinds of recording equipment. The great thing about Sweetwater is that they have a really experienced sales team, so if you have questions (e.g. about your recording space, or how a microphone is going to sound with a certain pre-amp, or things like that), you can call and talk to their reps and they can give you very knowledgeable answers. Basically, what you’re looking for in a microphone is a large diaphragm condenser mic. There might be a few circumstances where you would want a dynamic microphone, like if your recording space isn’t especially quiet or if you’re traveling. But for the most part, you’re going to want a condenser. A condenser mic really picks up the warmth of your voice, but it’s also going to pick up any type of background noise that you have going on, which is why it’s really important to have a really well sound-treated space. I suggest that when you’re buying a microphone, go to a guitar center or some other place where you can test out different mics, and actually test out the microphones. Then, listen to how your voice sounds on them. You can also listen to a shootout of 50 different microphones here. These recordings are done by singers and not voice actors, but you still get to hear how each mic sounds. Below are some of the microphones I recommend. These are both in the one hundred dollar range. The 220 is a little bit more expensive, but it’s still under two hundred dollars. These are all more or less $400. The Neumann is about $3,000, and the Sennheiser is around $1,000. One thing to keep in mind about the Apogee mic is that you don’t need to have an interface to plug your microphone to your computer. It’s a USB mic, which is why it’s great for travel. Just plug it straight into your computer. Take note, though, that it has heavy pops, so you’ll need either a pop filter or windscreen so that your P’s don’t pop like crazy when you’re using it. If you don’t know what I’m talking about — any time you’re making a P sound, or a T, or another sound where you’re blowing a lot of air out at once, and it makes the microphone pop a little bit — the Apogee mic is pretty sensitive to those. This is around $200.There are a lot of other brands of microphones that will work for you. The bottom line is how it sounds. You are likely not going to really go wrong with any of the microphones that I mentioned, but there are little nuances, so your voice will sound different on a Neumann TLM 103 than on the AKG Perception 120. and for traveling, I really like the Apogee mic. If you’re using a USB microphone, as I mentioned earlier, you won’t need an interface. But for the other types of professional microphones which typically have an XLR connection (which are three-pronged), you can’t directly plug them into your computer — which is why you will need an interface. It acts as a connector to your computer. It also improves the sonic capabilities of your microphone on your computer. Thus, making any recording sound more professional. The Presonus Audiobox USB is the first interface that I ever used, and it’s a fine starter interface. It costs around a hundred dollars. The Focusrite Scarlett Solo works great for directed sessions. I use it particularly when I’m doing directed sessions via Source-Connect or ipDTL. I really love this one, and it’s what I use the majority of the time. It’s a super high quality interface, and I’ve loved every moment I’ve had with it…except on occasions when I’m doing directed sessions (because it doesn’t work as great for those as does the Focusrite Scarlett Solo). I was getting weird crackles in my sound when using the Audient over ipDTL or Source-Connect, and after a lot of troubleshooting, determined that it was the Audient. I don’t think this is a wide-reaching issue (it may be some weird combination of my operating system and the interface and something else I don’t know about, so it may not be an issue for you), but I ended up just using my Focusrite for directed sessions. Any over-ear headphone is going to be better than something like the headphones that came with your cell phone. For getting started, a pair of over-ear headphones is going to be helpful as you’re editing your work because it will help you catch a lot of things and nuances that cheaper earbuds aren’t going to pick up. If you want to spend a little more, the AKG K240 are great, and they cost around $70. Most headphones you get are made for music, so they are more optimized for music than for human voice (like the way that you’re going to hear bass). The Harlan Hogan Voiceover Headphones, on the other hand, are optimized for the human voice. They cost around a hundred fifty dollars. This is a recommendation I got from George Whittam, and you can buy it on eBay. It’s a pop filter that is very small, so it doesn’t get in the way when you’re reading your scripts. You also won’t hit it with anything, and it’s not in your line of vision. It’s just nice and small, and it straps to your microphone. If you have a tube mic, you can velcro the pop filter around your microphone. And since it’s small and attachable, you don’t have another arm coming off of your mic stand. It’s unlike those standard pop filters that you get that come with a flexible arm which you can accidentally hit because it gets in the way. This eliminates that one hundred percent. If you’re not using headphones, make sure you do have a solution like real studio monitors, so that you’re getting a good, clean representation of the audio that you’ve recorded. For studio monitors or speakers, I use the Presonus Eris E5. These are great studio monitors that you can arrange on your desk or wherever it is you’re going to be listening if you’re not using headphones. Right now, I’m using a 4 x 4 x 7 VocalBooth.com booth. Obviously, you can get these at vocalbooth.com, but here’s a sweet tip: if you check Craigslist, there are people selling their used booths all the time. Craigslist is great because you can find a lot of great deals with it, but the downside is it doesn’t allow you to search multiple cities at once. But if you go to searchtempest.com, you’ll be able to search all of the Craigslist cities in one go. That’s how I found my booth. I used searchtempest.com to find Craigslist vocal booth listings in all cities, found a great deal in Chicago, bought it via Paypal, and had it shipped to me in Kansas City! If you don’t want to spend on a full-size booth that you have to construct, you can get mobile booths and all kinds of other sound proofing things. For these, I recommend VocalBoothToGo.com. This is a funny-looking foam ball that you put over your microphone to keep unwanted off-axis sound from getting picked up by the microphone. When I was traveling, I actually recorded out of my travel trailer for a while and the Kaotica Eyeball was really helpful in providing another layer of insulation to get cleaner recordings. It is extremely important for your voiceover business to have a website up as it helps establish your credibility. It also serves as a platform where you can showcase your demos and provide an easy way for clients to contact you. Below are website-creation tools I recommend. I’ve used several different hosting providers in the past, but so far, what has been the most reliable and by far the fastest is BigScoots. You probably have never heard of them before. They’re not a huge name like GoDaddy, but they’re great. They have lightning fast hosting, so your site will be fast. Mine increased in speed noticeably when I switched from GoDaddy to Big Scoots. They also have great customer service. There’s a difference between wordpress.com and wordpress.org. Basically, with wordpress.org, you’ll need your own hosting account to make your website live, but you’ll also have more freedom with customizing your website, which is why I love it. It’s technically free, unless you’d like to purchase premium templates from third party providers. I really like it because it’s very flexible and customizable, and you can do pretty much anything you want to do with your website using it. It does require some technical knowledge, but it has gotten a lot easier to use over the years. If you don’t want to mess with a little coding and all that techy stuff, you can use something simpler like Wix. It’s a drag-and-drop website builder. It may not be as customizable as WordPress though, so there are limitations on what you can do with it. But it’s great for creating almost done-for-you websites. Wix-created websites are also hosted on Wix servers, so you won’t need to get your own hosting account. Whew! I know that was a lot of information (and that’s not even all of the products, tools, and services I love and use regularly). If you feel overwhelmed or a little concerned about the price of some of these tools, the good thing is, for most of the tools that you need, there are free or entry-level products that you can get your hands on as you’re starting. 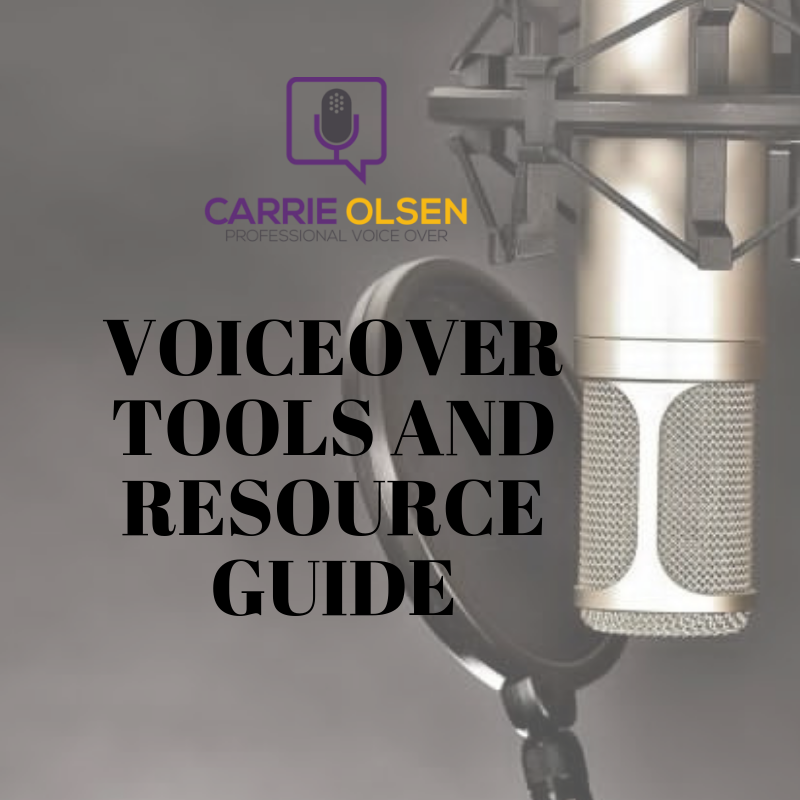 Plus, at the very least, you won’t be spending unnecessarily on tools that you aren’t sure of — you can just refer to this resource list for guidance. There are even more that I would love to share with you, so I will be updating this list from time to time. If you’d like to get your own copy of this, you can download it below. I hope this was helpful for you. If it is, let me know in the comments section below so I can create more resource posts like this. Thanks, and speak soon! We hate spam as much as you do. Your email address is 100% safe and secure.